This coming November 21 will be the tenth anniversary of Twilight, the blockbuster teen vampire film that nearly grossed $400 million worldwide and spawned adoring fans from around the globe. 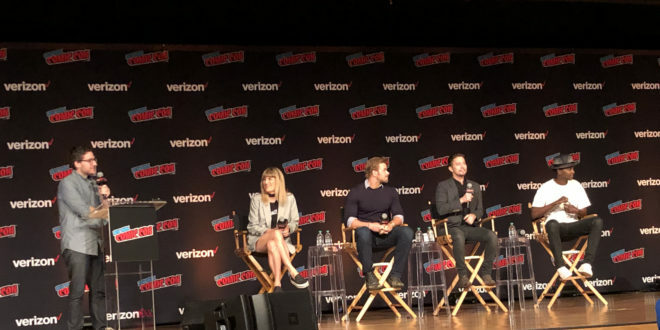 At New York Comic-Con this year Twilight director Catherine Hardwicke and cast members Kellan Lutz, Jackson Rathbone, and Edi Gathegi treated fans to a special look back celebrating ten years since the film first came out in 2008. Based on the novel by Stephenie Meyers, Twilight tells the story of high schooler Bella Swan who moves to Forks, Washington to live with her father. There she meets the mysterious Edward Cullen after he saves her from being crushed by a car in their school’s parking lot. Turns out he and the rest of his family are vampires and thus begins Bella’s struggle to balance her life as a teenage human girl and her love for an immortal supernatural creature. The Workprint had a chance to sit down with Catherine, Kellan, and Jackson to chat about their experiences being a part of this phenomenon and how it’s impacted their lives. During their panel, audiences were able to get a behind the scenes look from the personal pictures of Hardwicke showing various cast members looking quite fresh faced during filming. 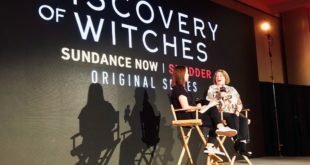 As a special treat, Robert Pattinson Skyped in to express his heartfelt feelings and we even got a recorded message from Kristen Stewart greeting the fans. The director and Rathbone went back to revisit the location where they filmed the baseball scene and the panelists revealed stories on how they prepped and then shot the sequence. The cast members even showed of their sweet sweet dance moves! Check out the 10th anniversary trailer, doesn’t it make you want to binge watch the whole series again? It might have been nice if you’d spelled Stephenie Meyer’s name correctly. No proofreaders? That’s a mistake. Try reading the book and watching the film before you attempt to write an article about them next time, Nicole. It’s fairly obvious you did neither this time around.